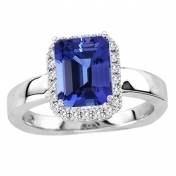 A gorgeous trillion tanzanite of 1 carat clawed from all the 3 sides with gold looks more stunning when studded with 26 round diamonds of 0.31 carats at one edge of the gemstone. 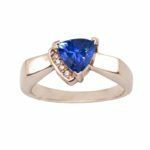 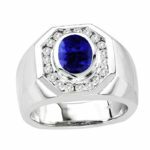 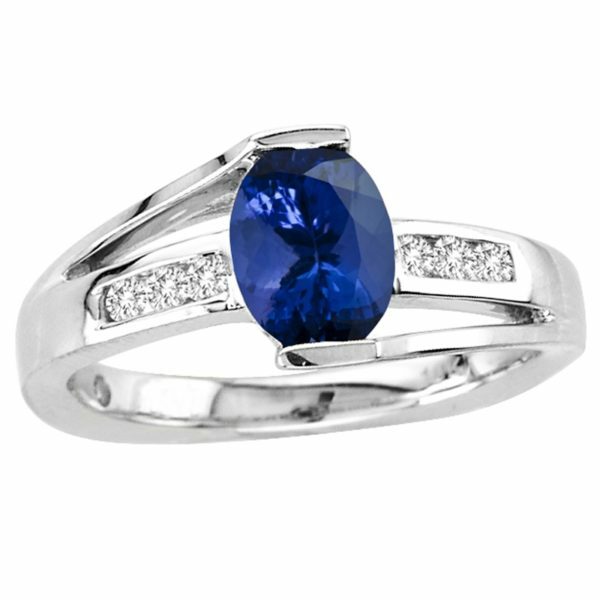 This ring can be easily paired up with formal as well as informal attire due to its elegant appearance. 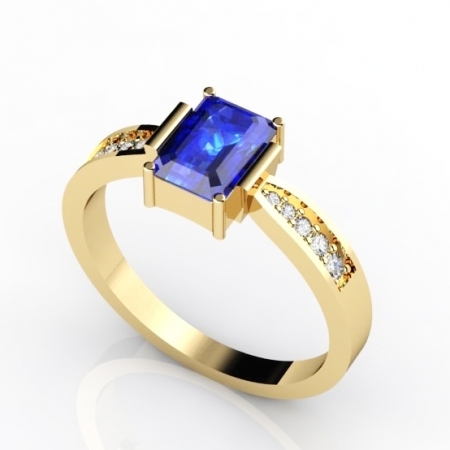 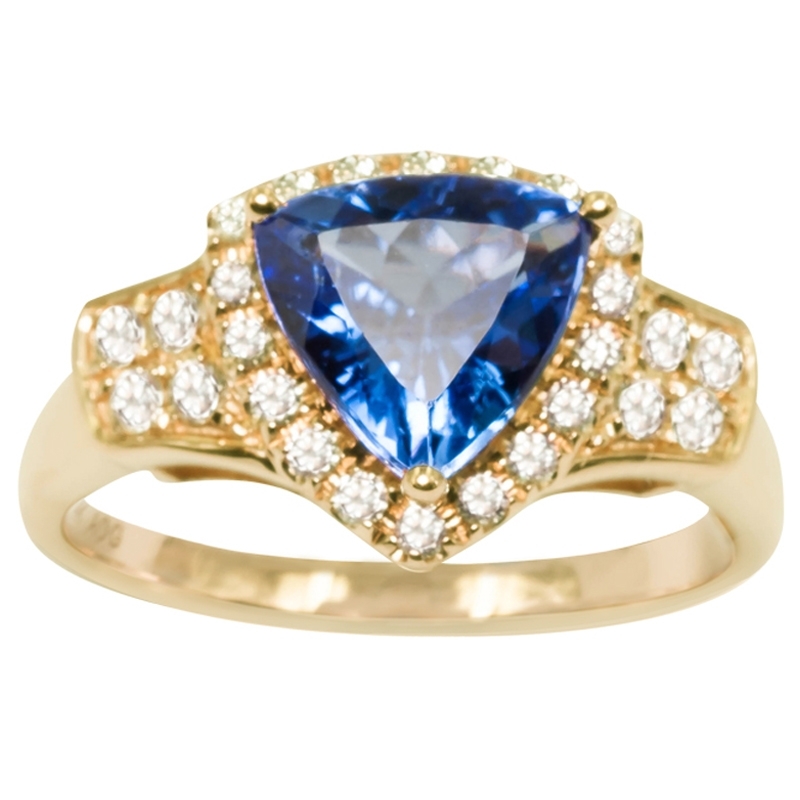 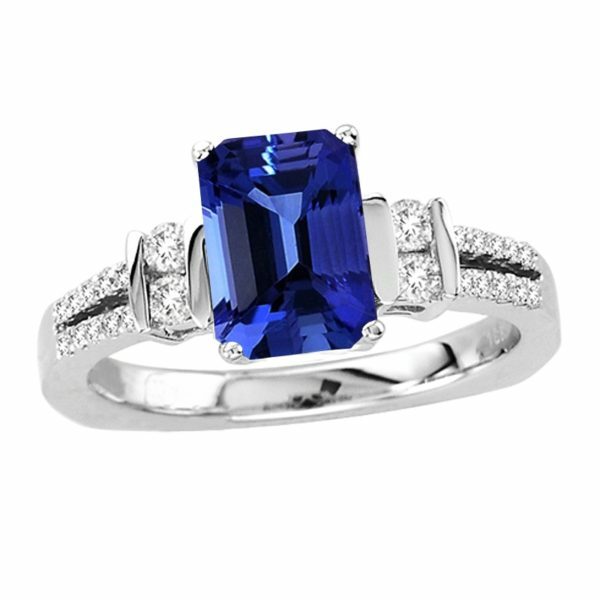 The blue aura of tanzanite when blended with subtle shine of gold makes it look extremely divine and artistic.